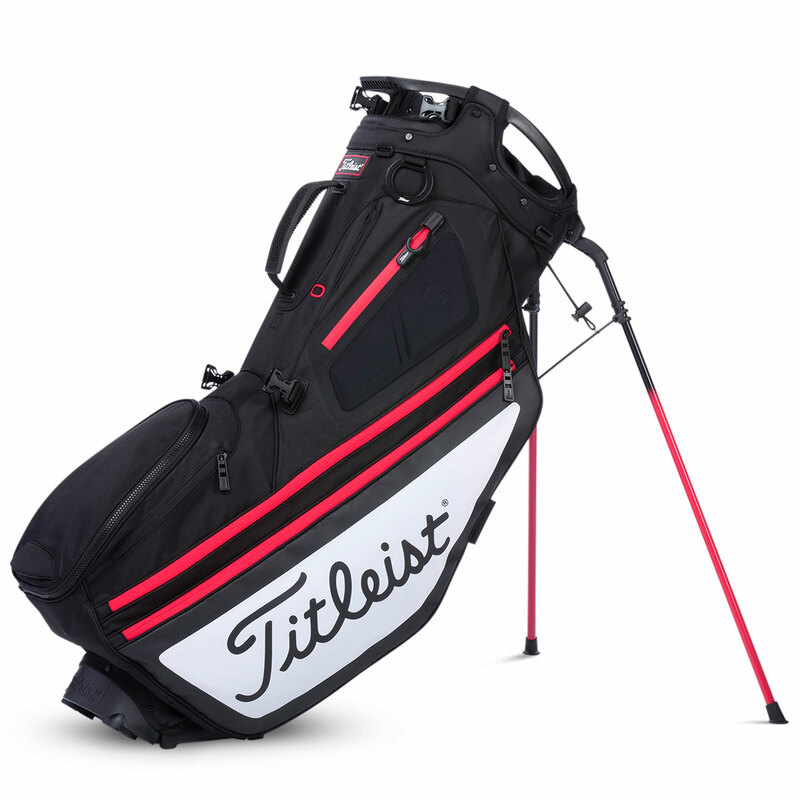 Play golf with this versatile golf bag, with self-balancing dual strap carry system that takes the weight of your equipment equally across your back and shoulders, or can be converted to single to maximise your endurance during your round of golf. 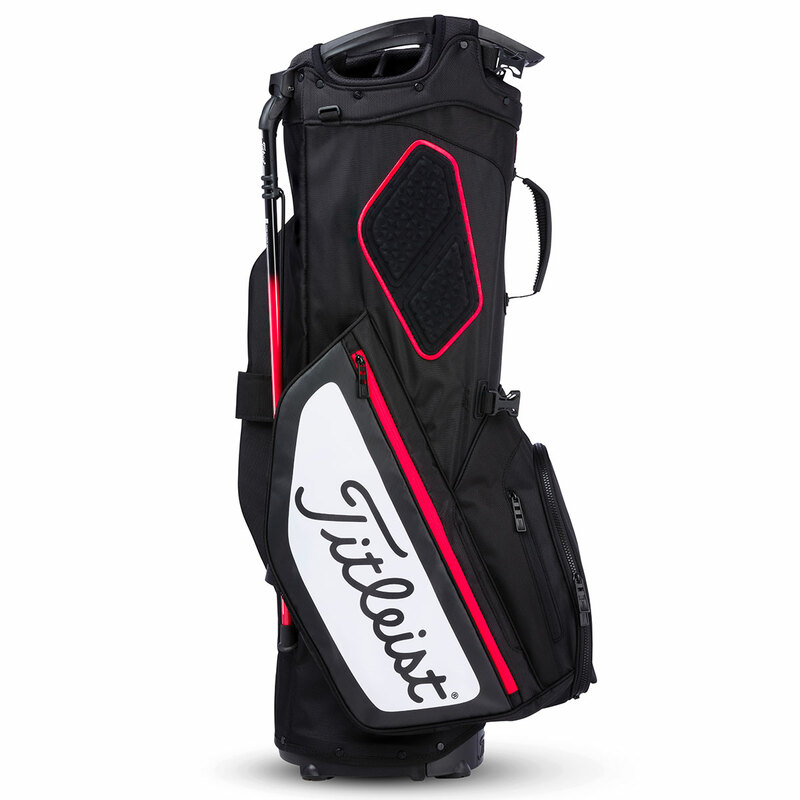 To organise your clubs the bag has a 14-way divider top cuff which helps to display your clubs, and has a built-in lift handle to ensure easy lifting to and from your transportation. The bag has an advanced hinged base and high-grade aluminium stand system which has been engineered to provide optimum leg position and width to maximise stability when deployed. 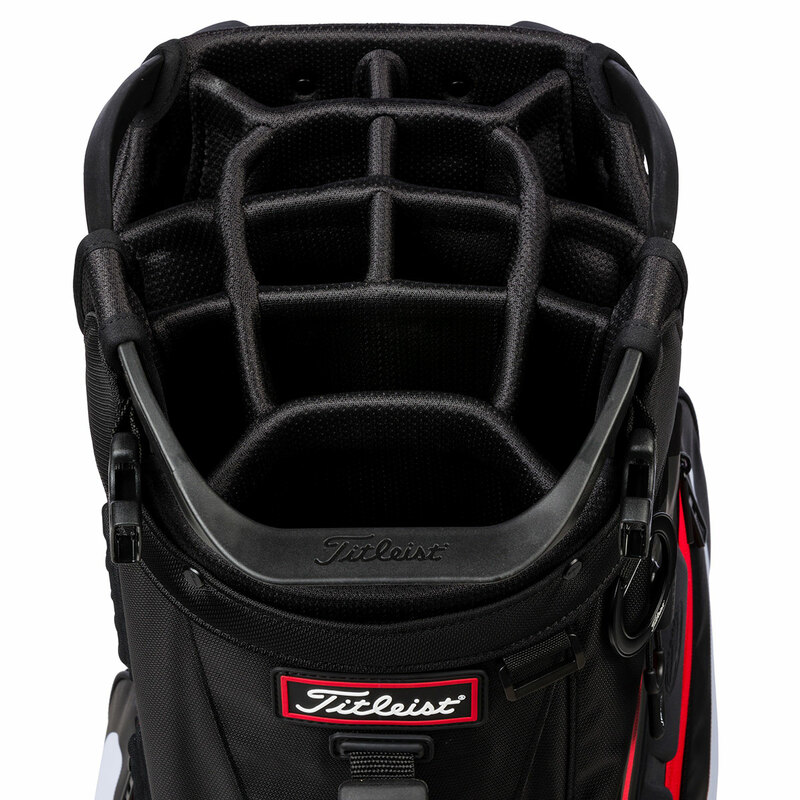 For all your storage requirements the bag has 8 pockets which include double apparel pockets for maximum storage. Plus is trolley friendly and comes with matching rain hood.